Guan Wei, Reflection #10, 2016, acrylic on canvas, 127 x 159 cm. Congratulations to GUAN WEI, who has been selected as a Finalist in the Wynne Prize 2017, with his painting, Reflection #10. The Wynne Prize is awarded annually for 'the best landscape painting of Australian scenery in oils or watercolours or for the best example of figure sculpture by Australian artists’. 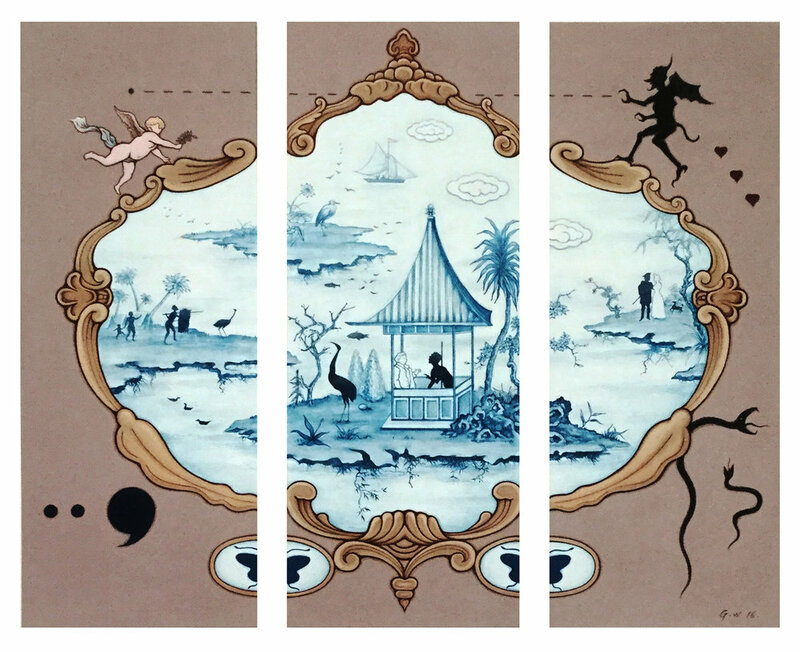 "Reflection #10 is inspired by the images of 17th and 18th-century ceramics and textiles related to explorations, discovering new land and utopia. Like a mirror, these works superimpose, reflect and mix the history and reality, culture and society of the country in which I find myself, together with my personal imagination and my home country’s history through time. Beyond the narrative of history, Reflection #10 discusses the sensitive, fragile, yet deep and serene psychological world of humans: where we are from, where we are going." The Archibald, Wynne and Sulman Prizes exhibition will be on view from 29 July - 22 October 2017 at the Art Gallery of NSW. The Winners will be announced on 28 July at 12pm.